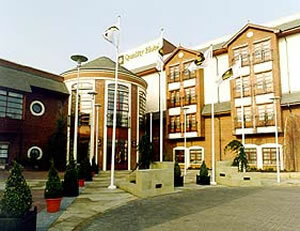 The Clarion Hotel opened in March 1997 and has become one of Northern Ireland's premier Conference and Banqueting Venues. 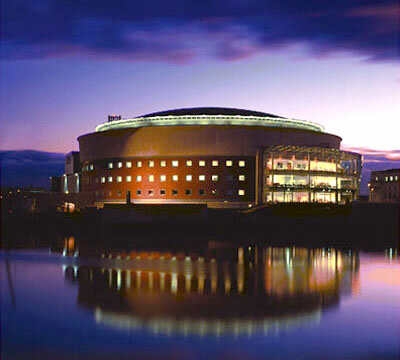 The hotel is just 10 minutes from Belfast, 18 miles from Belfast International Airport and 11 miles from the City Airport. 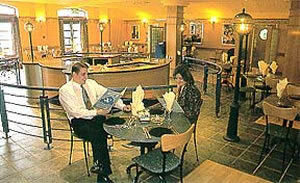 Six suites have been purposely built to cater for all your Conference and Banqueting requirements, ranging from the Andrew Jackson Suite which can accommodate 400 delegates for a conference or dinner, to the Fergus Suite which is suitable for a small intimate dinner party or a business meeting or seminar. 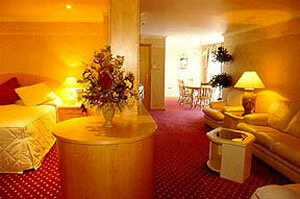 The hotel offers a choice of dining venues with the Red Pepper Restaurant and Bar 75. Enjoy a choice of A La Carte or Table d'Hote menus in the Red Pepper, while Bar 75 offers an extensive grill bar menu. A separate lounge bar is the perfect location to relax and enjoy a leisurely drink or if you prefer, sit in the Rotunda and watch the world go by. 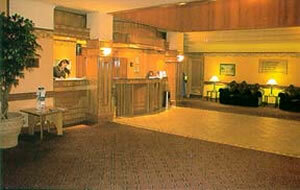 Car parking is available for up to 700 cars. Standard in each room are voice mail telephones, an executive desk, personal computer connections, radio and remote control televisions with satellite channels, complimentary tea/coffee making facilities, trouser press and hair dryer. An elevator allows easy access to each of the four floors.